This pie is for Reeses lovers. 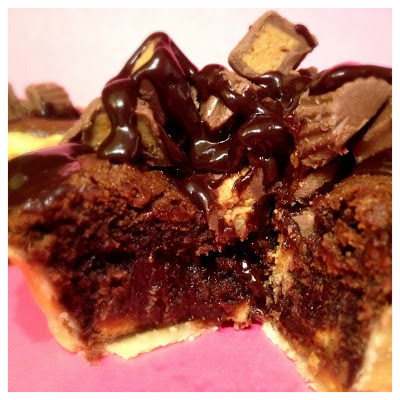 They are individual pies that will melt in your mouth and cure all of your chocolate cravings! If you are looking for mini pie pans, check the baking isle of your local grocery store for aluminum re-usable ones, or check out these for sale on Amazon. Indulge in the heavenly goodness!